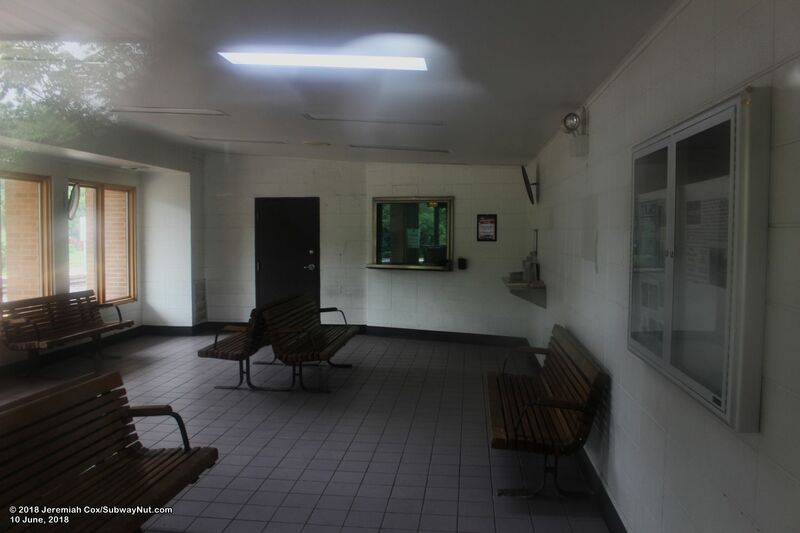 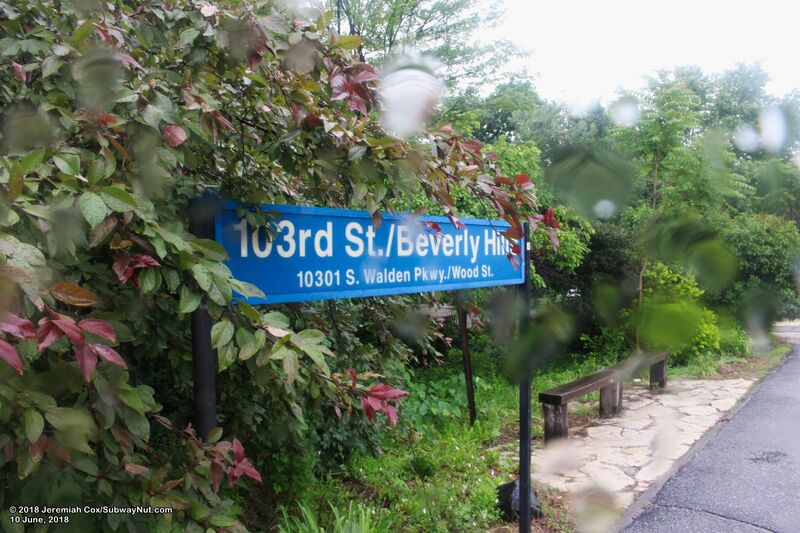 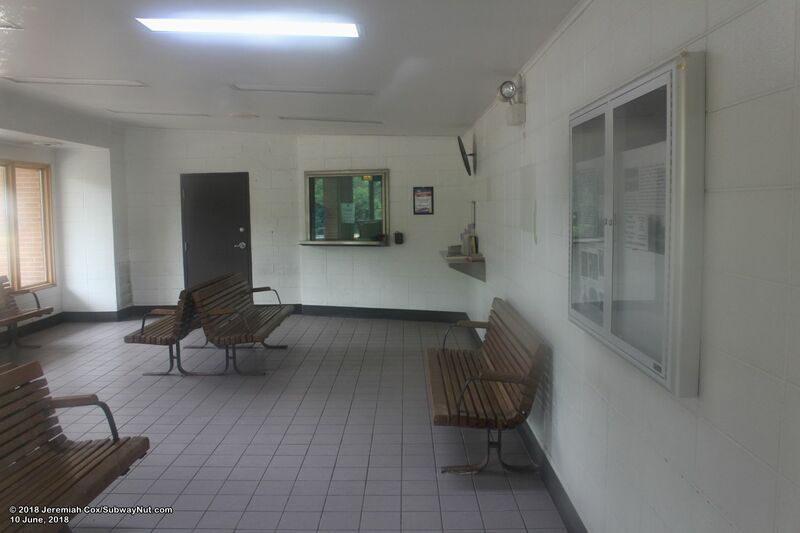 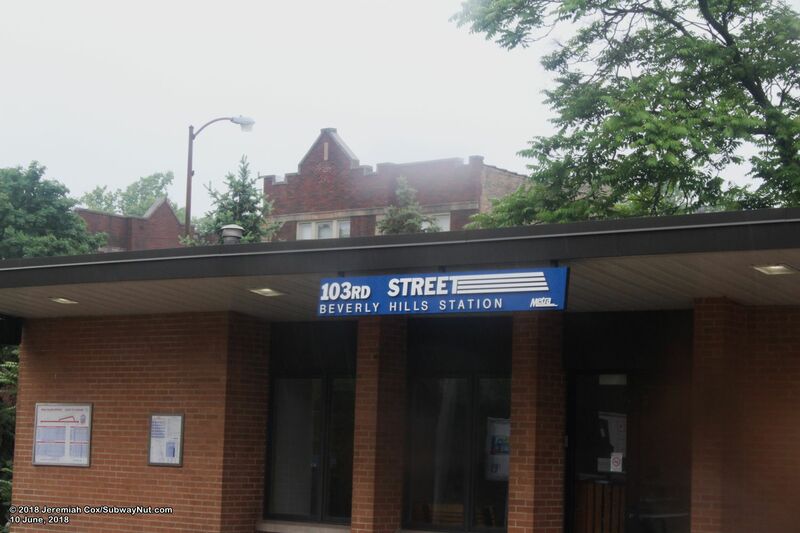 103rd Street-Beverly Hills has a small more modern brick station house that contains a simple white walled waiting room and ticket office that closed on October 15, 2018, eliminating all Metra ticket offices south of downtown at stations within the City of Chicago. 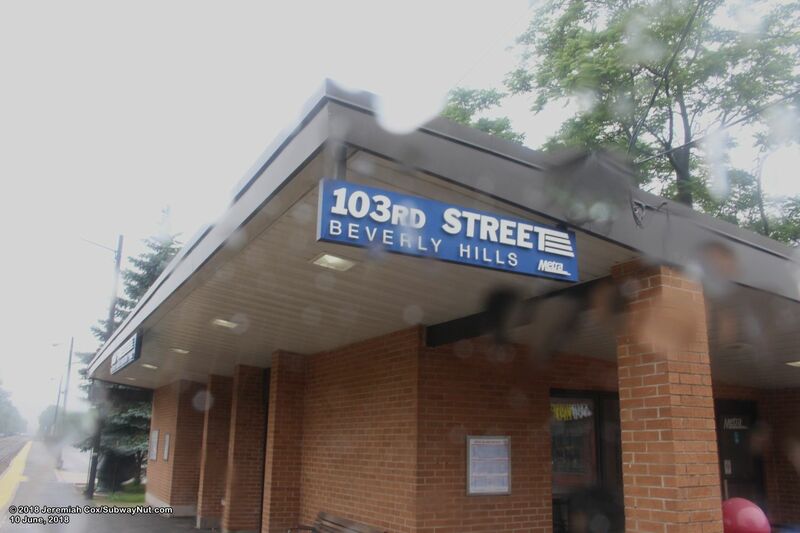 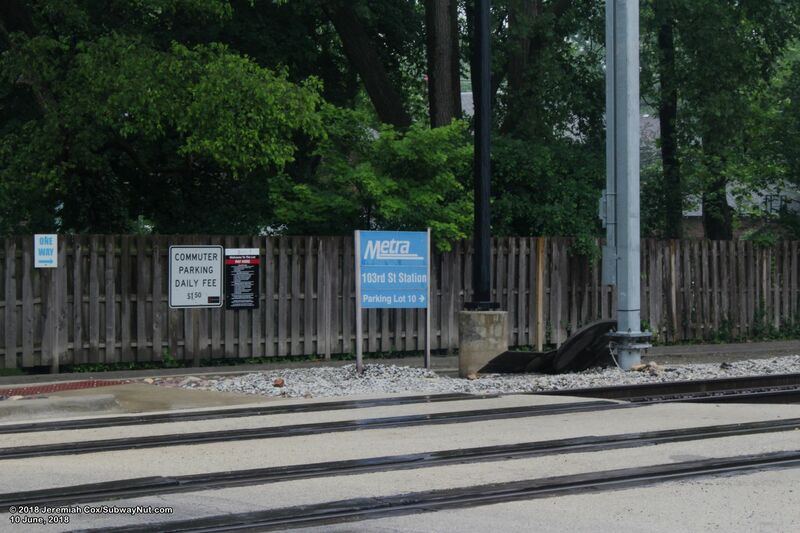 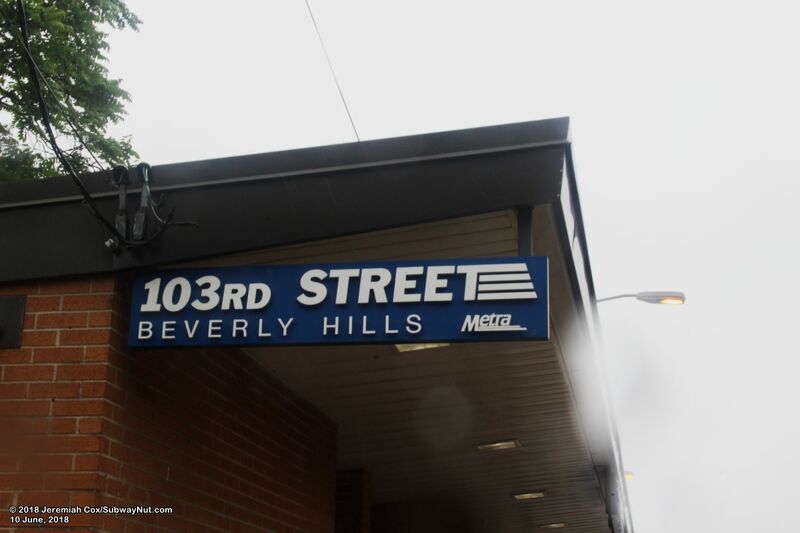 The exterior of the depot has unique format with white on Metra Blue text, 103rd Street-Beverly Hills signs with arrows running from the T in the sign. 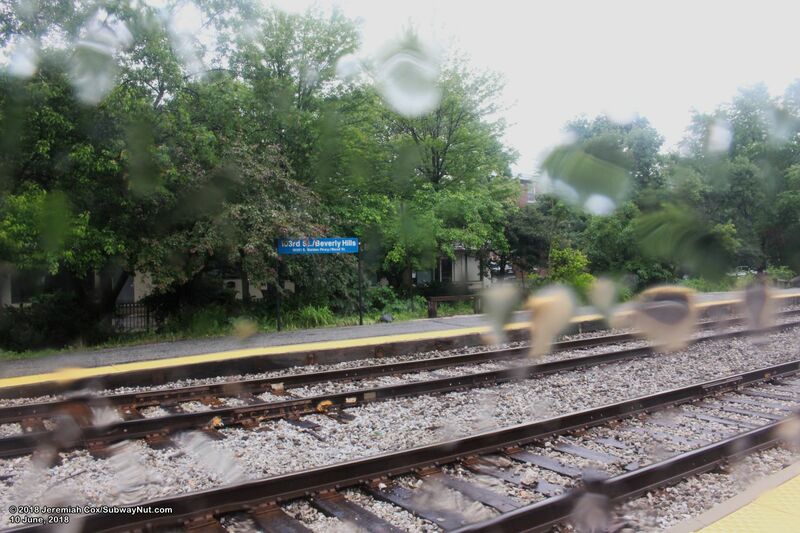 The station has two side platforms that run from the grade-crossing of 103rd Street and run south to 104th Street, which isn't a through-street and lacks a grade-crossing across the tracks. 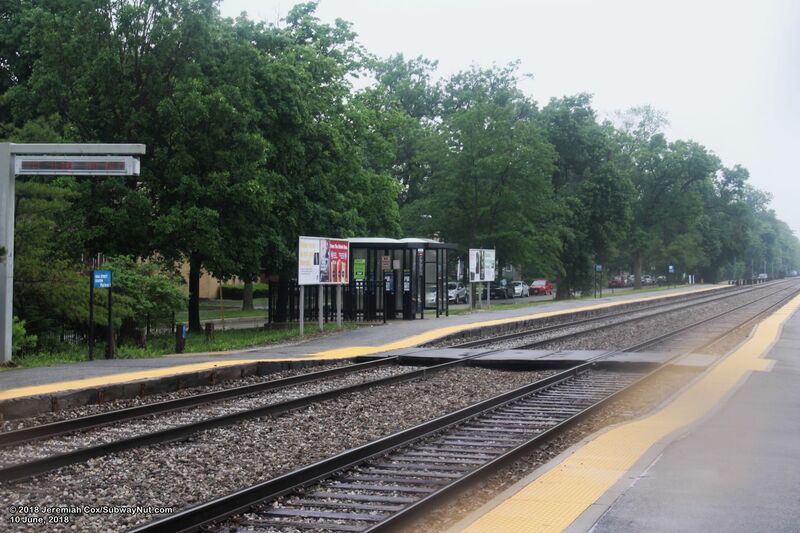 Another wooden pedestrian crossing is towards the middle of the platform. 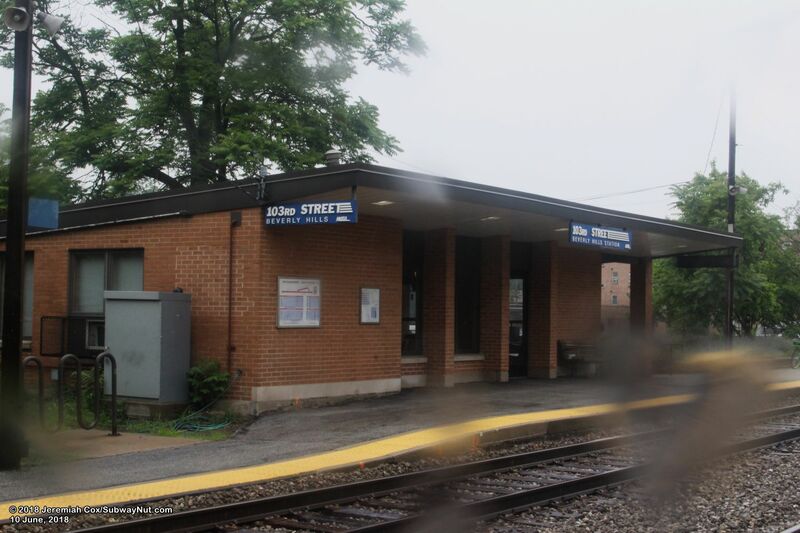 The station house is along the Joliet-bound platform. 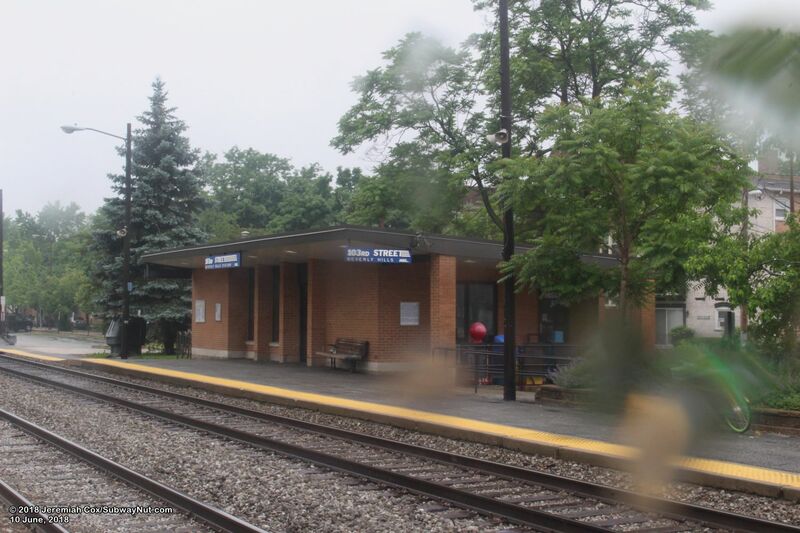 Chicago-bound passengers have just a couple of bus shelters. 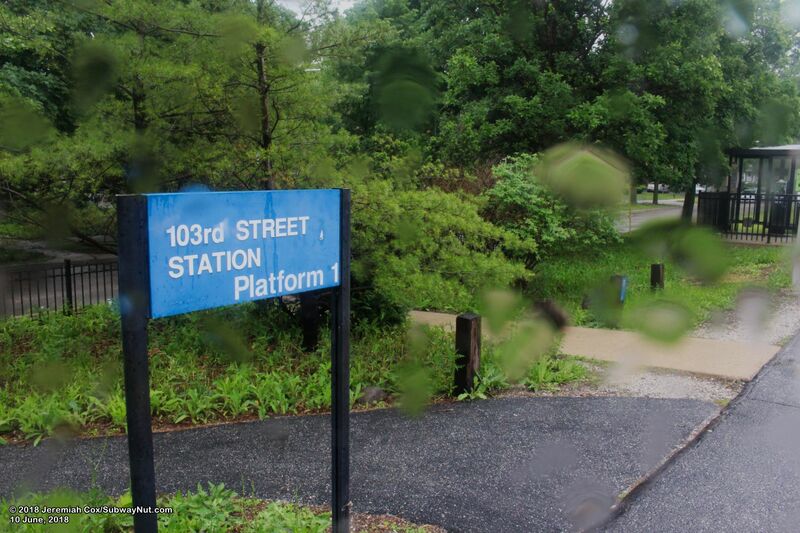 The two platforms have parking along the Chicago-bound platform south of the station house, and additional parking spaces along Hale Avenue across 103rd Street, that flow as passenger parking the 3 blocks north to the start of the 99th Street station at 100th Street.